Today is Heritage day in South Africa and also National “Braaidag” (For my non-Afrikaans friends, that is BBQ day). 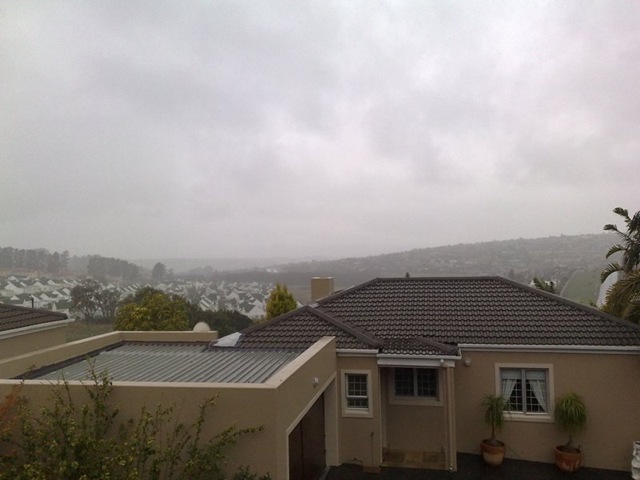 The weather is playing havoc with us here in Cape Town. This is what it looks like from my balcony. Definitely not a great day for Braaing. At least my braai is on my balcony and under roof but it is unpleasant there. Will have to see if I get around to it. Time to find somebody with a indoor braai.